Digital Art : Charis Tsevis is a splendid visual artist living and working in Athens, Greece. He is famous throughout the world for his imaginative skill and has worked for organizations like Nike, PepsiCo, Toyota and IKEA. Every single creation of him portrays a solitary component – a man, a question or a creature – that uncovers a staggering measure of points of interest upon more critical look. Womankind an advertising-free women's magazine which offers articles on culture,creativity,philosophy, nature and the way to have a fulfilling life. 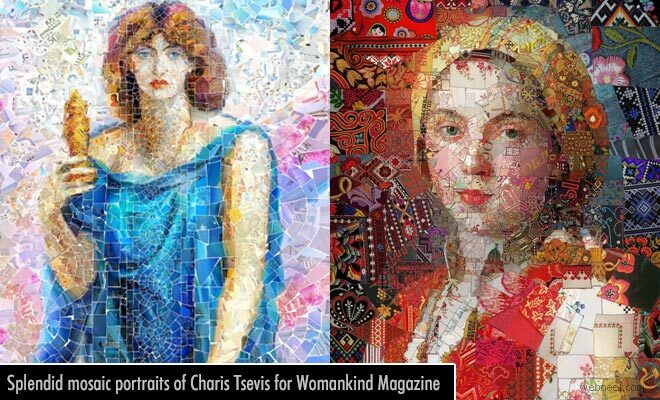 Charis Tsevis had created art for 12 issues of womankind magazine in mosaic patterns featuring a virtual travel around the world. Will undoubtedly discover something new every time you look into his complicated manifestations.